CUBA STANDARD — A day after Russia signed a memorandum of understanding with Cuba, Alphabet Inc.’s Google agreed to work towards establishing “peering” with Cuban state telecom Etecsa. The public signing ceremony in Havana had been postponed by two days. Google and Etecsa did not allow reporter questions after the event and did not explain the reasons for the postponement. The day before, Google CEO Sundar Pichai met with President Donald Trump in Washington to discuss the company’s intentions with China. A terse joint statement by Google and Etecsa said the memorandum of understanding included the creation of a joint working group of engineers to explore details, but it seems otherwise devoid of specifics, such as a time frame. A peering agreement “will be implemented when the technical conditions allow,” the joint statement said. Peering is a process by which two Internet networks connect and exchange traffic. It allows them to directly hand off traffic between each other’s customers, without having to pay a third party to carry that traffic. A peering agreement could be a first step towards establishing a direct U.S.-Cuba undersea cable connection. Currently, Cuba is connected to the World Wide Web only through a Venezuelan submarine cable. In November, Spain’s Grupo Telefónica offered Cuba to connect the island to its network of undersea cables. Cuban authorities highlighted the fact of a major U.S. company seeking more business with Cuba at a time of hostile rhetoric emanating by the Trump administration. An Obama-era policy allows U.S. companies to provide telecommunications services to improve access to information for Cubans. However, critics honed in on the lack of specifics surrounding the agreement. Under an agreement signed in December 2016, Cuba allowed Google to run servers on the island. 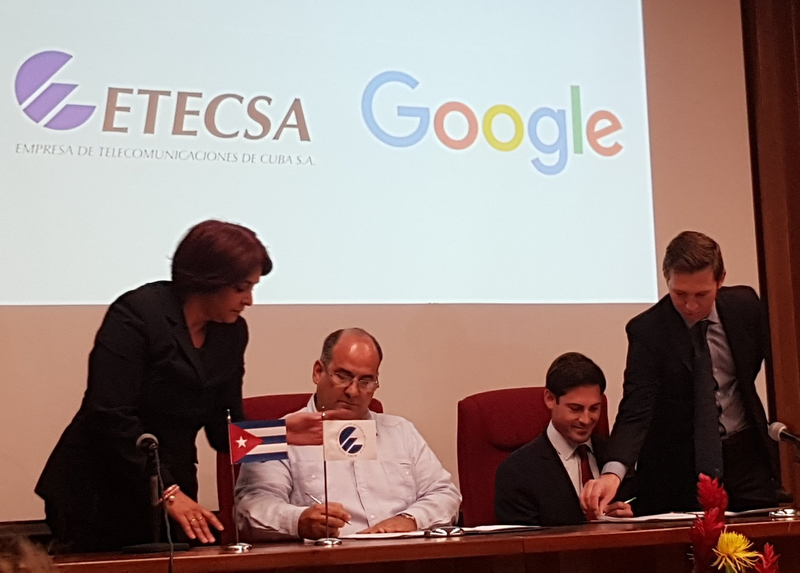 This allows Cuban users to access Google Global Cache, which provides content from Google-run sites like Gmail, Google Drive and YouTube at faster speed. That agreement has show “good results,” according to the joint statement. Google also runs a small showcase project in Havana. Meanwhile, the Russian MoU, signed in Moscow a day before the Google-Etecsa agreement, is an update of a 2008 agreement. According to semi-official news agency TASS, it covers communication technologies and cybersecurity. 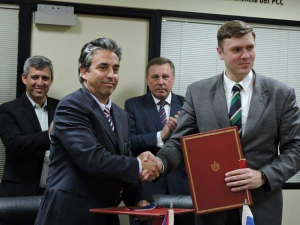 The signing was attended Communications Minister Jorge Luis Perdomo, Russia’s Deputy Minister of Digital Development Mikhail Mamonov, as well as Russian business executives. Cuba’s interest focused particularly on cybersecurity and the development of e-commerce. 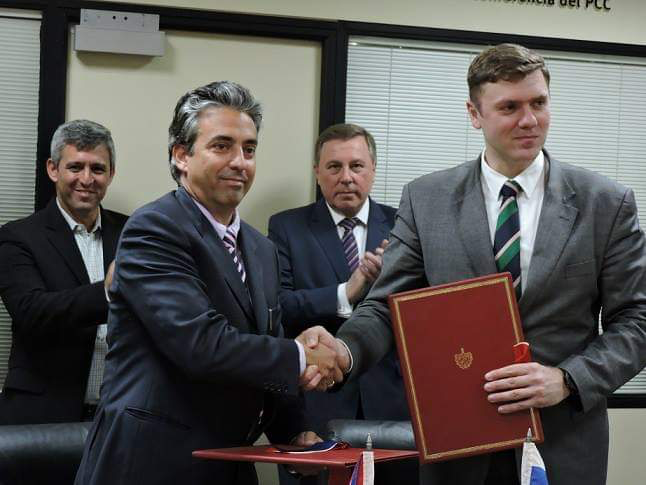 “We discussed a number of new projects that can be implemented due to the fact that 3G network has appeared in Cuba through cooperation with Russian communications providers,” Mamonov told TASS, referring to Cuba’s recent introduction of Internet access via mobile phones. A Guardian report says private remarks by the Google executive in charge of relations with Cuba suggest that the information technology giant has worked as a political go-between for the Trump administration in Havana. According to the British newspaper, Brett Perlmutter said he helped convey messages between the Trump administration and the Cuban government, which trusted Google more than the current U.S. administration. The report relies on “two sources with close knowledge of the matter”. Perlmutter has been head of strategy and operations at Google Cuba since 2014. Donald Trump has a contentious relationship with Google, but Perlmutter’s comments suggest the administration and the company work together when they share mutual interests. According to the Guardian, Google denied that Perlmutter has been working as an unofficial diplomat, and through a spokesperson Perlmutter denied ever having referred to himself as a diplomat between Cuba and the U.S. government. The State Department also denied that it had ever used Google to communicate messages to Cuba. This entry was posted on Saturday, March 30th, 2019 at 12:05 pm	and is filed under Economy. You can follow any responses to this entry through the RSS 2.0 feed. Both comments and pings are currently closed.